-embarrassed or guilty because of one's actions, characteristics, or associations. -reluctant to do something through fear of embarrassment or humiliation. "I'm ashamed to say I followed him home"
Let's be honest, we've all dealt with it, right? Sometimes those moments of shame are small and rather insignificant in the big picture. Maybe it was breaking your diet and eating an extra cookie. These types of situations may give us a brief moment of shame, but we tend to move on from them rather easily. But those bigger moments of shame? Those are a lot harder to move past. Maybe there was a mistake you made in your past. Maybe you hurt someone or were hurt yourself. Maybe you made choices that you know were not pleasing to God. Personally, I understand this feeling all too well. Perhaps that's in part because of my social anxiety, I tend to dwell on things far longer than I should that may not even matter to anyone but myself. But I think it's also just human nature. We hang on to things and have a hard time letting go. Still, as Christians, we know that when we accept Christ as our savior, our past sins are forgiven. We know that His love is big enough to cover every bit of shame...so why do we have so much trouble letting go of it ourselves? Why do we let it continue to weight us down and steal our joy? Why can't we just let it go? As I said, we all fall victim to shame in some form or another so I found this book to truly be a great read for everyone. It's not going to be the magical cure all. You won't read it and instantly be rid of your shame- if only it were that easy! BUT, it will help you to take a look at the shame that you feel and give you the tools and the scriptures that through time and prayer can help you work through it, one day at a time. 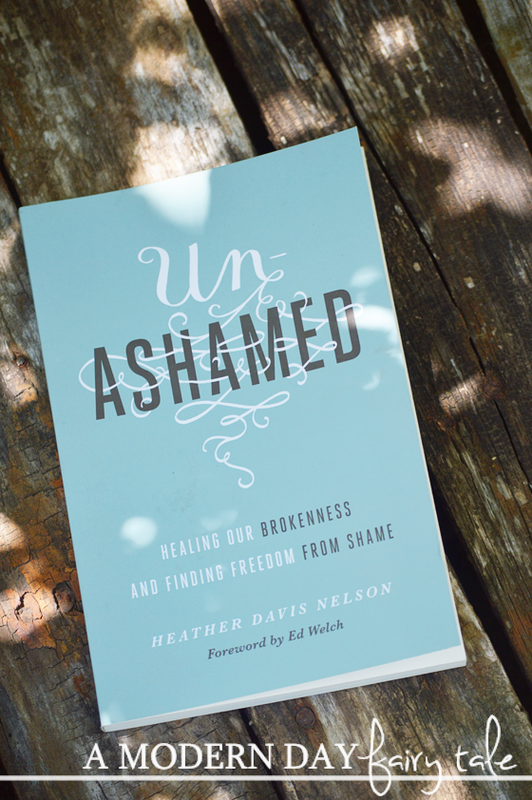 Unashamed is available to purchase now at your favorite Christian book retailers. Oh I feel like so many of us could benefit from this book!! I, like many others, carry some shame and some days it eats away at you!! This sounds like a very inspirational read.